BMW just before the year 2000 launched on most models a display capable of managing functions such as navigation, TV, telephone, travel computer, etc. Several cars were marketed without this equipment option. Speed & Style assumes the installation of the original 16: 9 navigation system of BMW with the addition of TV mode and DVD player. 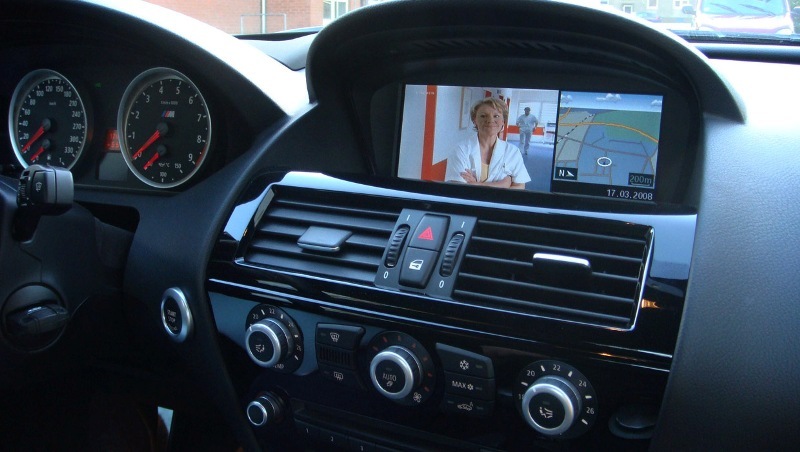 For BMW models featuring the factory-set navigation screen, TV and DVD player can be added. As an add-on, it is possible to work on the go after programming. For safety reasons it is only recommended for the occupants to watch on the move, not the driver.